Can somebody explain why the game says that my mem card has the Suikoden II save, but when I choose the mem card and it loads the mem card there is nothing showing up? does your memcard actually has this save ? I mean, can you see it when you explore your memcard from the Bios ? Yes! It has the save otherwise the game will say that the mem card has no Suikoden II save file and it won't let me allow to go on the screen on the image. Suikoden 2 is a PS1 game what i know PS1 memory card is unreadable in pcsx2. if you have the real PS1 memory card insert it on your real PS2 run Suikoden 3 when they "asked" you to import suikoden 2 saves--->reach the 1st point and save it on your real PS2 memory card--->plug a flash drive to your real PS2,run the LauncherELF's file browser then copy paste it on the USB flash drive there should a root ID for suikoden 3 save there--->move your flash drive to your PC run the PS2 save builder convert into *.cbs--->run mymc open your current *.PS2(pcsx2's memory card--->hit the import button and import the convert *.cbs file then suikoden 2 imported to suikoden 3 saved from the 1st save point should be there. that puzzle is tricky hard if you have already experience using LauncherELF program and you manged to dumped your PS2 bios to the flash drive it will more easier to do it. That is what my mem card has in it. The game seems to have recognize the save in the mem card because it let me choose which save file to load, but the problem when I go to the loading screen it is blank. 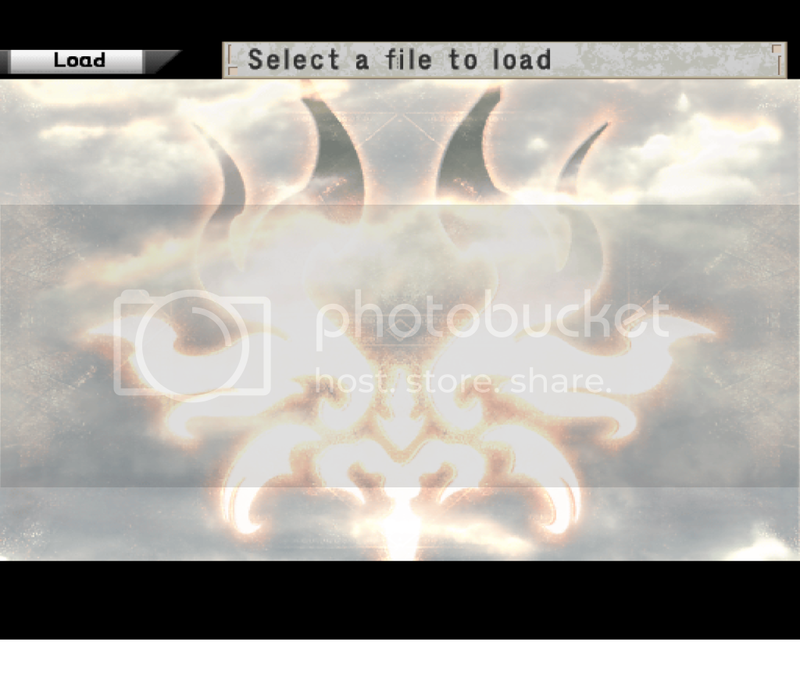 (05-08-2012, 02:57 AM)karom Wrote: when I go to the loading screen it is blank. 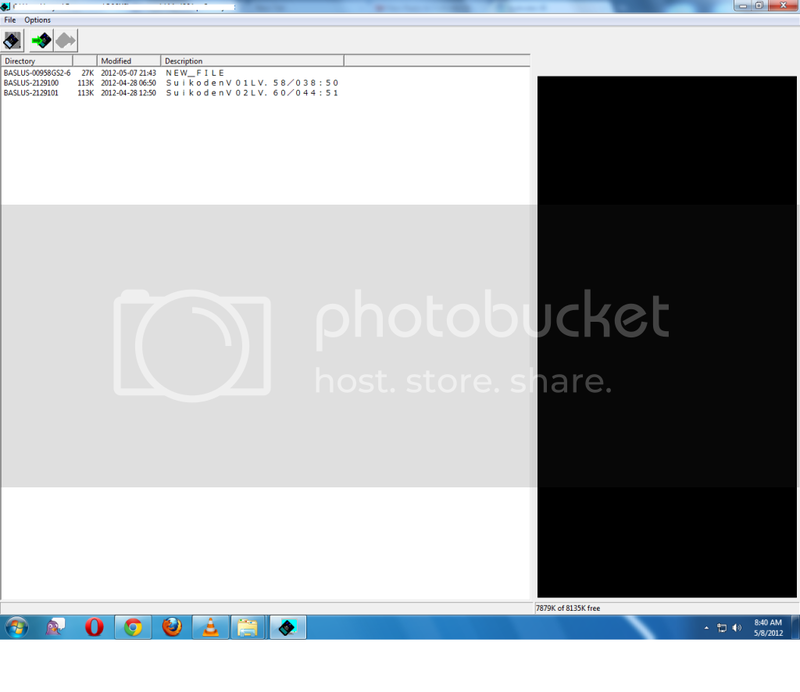 (05-08-2012, 03:03 AM)tallbender Wrote: use GSdx software mode. What I meant by blank is the image on my the first post, it does not show the save which I will load.